On a recent episode of ABC Four Corners, a weekly current affairs TV show in Australia, a senior figure who presides of large industrial disputes demonstrated how he secretly recorded, with an Olympus digital voice recorder, private phone calls. 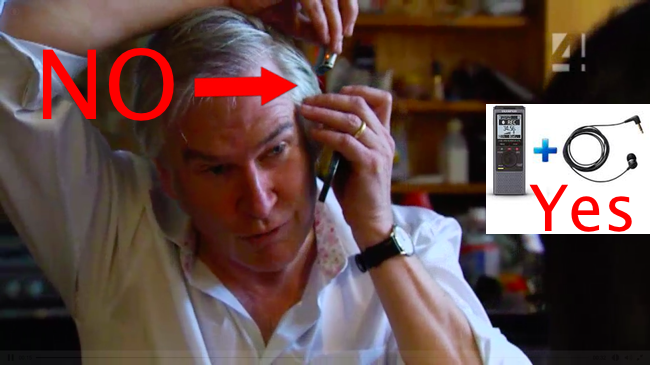 Unfortunately he had not done his research on phone call recording otherwise instead of the awkward iPhone/Voice Recorder single hand grip/juggle manoeuvre he could have just bought an Olympus TP-8 telephone pickup mic for just under $40. So, the point of this blog post is to not argue whether or not recording private phone calls is justified or not, this is a seperate argument we can have. Personally I believe some situations it is justified but obviously not all and it is also what you do with that personal recording. 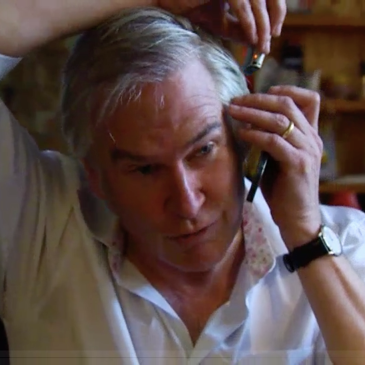 The point of this post is to highlight to Mr Lawler, although probably too late, and the rest of Australia (and the world) that recording telephone calls is much much easier than the Lawler Manoeuvre with a specially designed microphone from Olympus called the TP-8 (TP = Telephone Pickup). 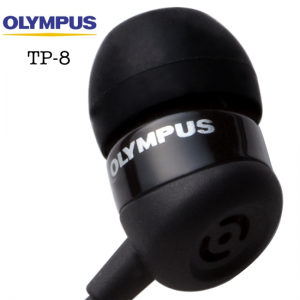 The TP-8 plugs into the mic jack of any Olympus digital voice recorder. The mic end is shaped like any other earbud you would pop into your ear to listen to music. With the mic in your ear you can hold any phone to your ear, mobile, desk even a payphone and clearly record both sides of a telephone conversion. The Olympus TP-8 is a hot seller in our store especially with journalists, it is a fantastic tool for recording over the phone interviews either for reference when preparing a story or even for broadcast/streaming on the radio or website. With the other parties permission of course. So if you are performing the Lawler Manoeuvre come and speak to us, we can get you a TP-8 and make your juggling go away. Mr Lawler, if you happen to read this we will happily ship you a free TP-8. A big thank you to the three or four of our customers who watched the episode and thought of us by email the story through. [Mac] [Fixed] Issues With Your Transcription Foot Pedal After Upgrading to OS X 10.11 El Capitan ?